Solutions Journalism Network is a non-profit organization that advocates rigorous reporting on positive solutions to global issues. 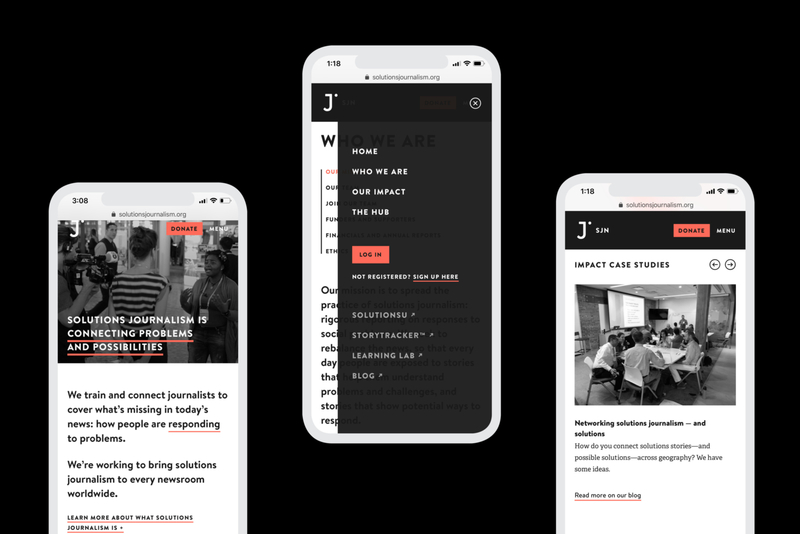 In redesigning their main website, our goals were to demonstrate SJN’s impact in newsrooms around the world, and to increase participation in an online network of journalists called The Hub. Giving members strong cues for improvement and participation significantly drove engagement. In addition to a main website, we created three independent digital platforms for SJN: Learning Lab, SolutionsU, and Story Tracker. All four sites are powered by a searchable database of curated stories from around the world. 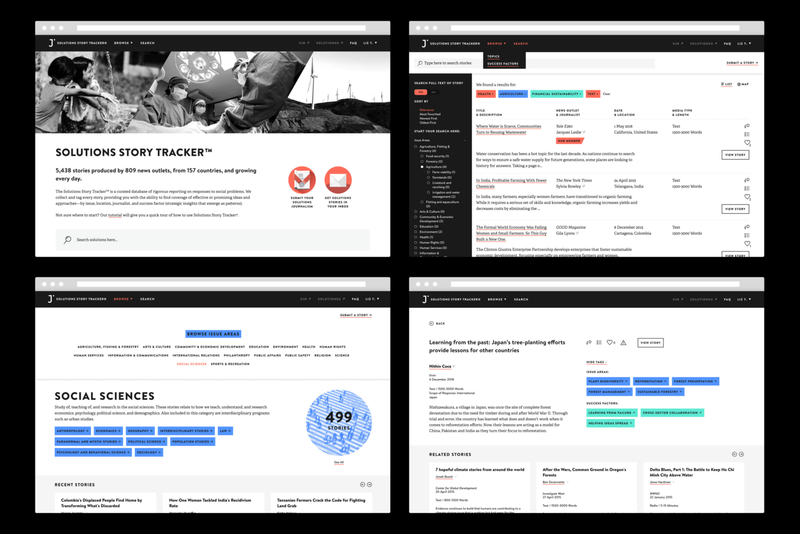 Story Tracker allows users to search or browse the entire database through a robust yet intuitive interface.